"T3", a restaurant that works with the concept of Time x Temperature x "Tasara" (many plates), opened in 2018 near Roppongi Crossing. 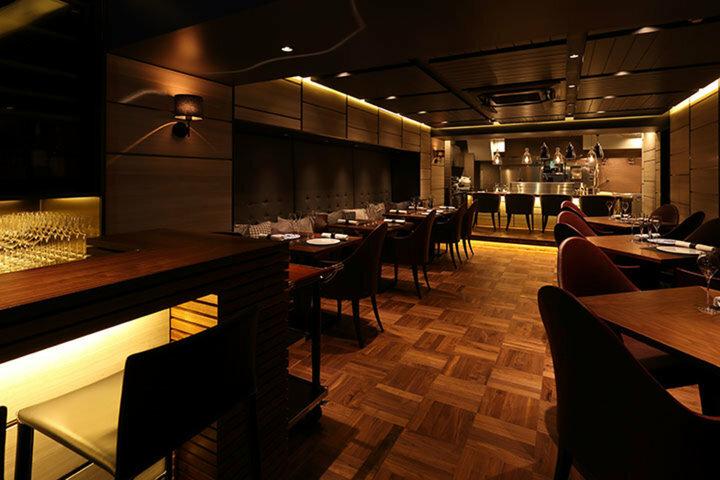 "T3" is a place for meat-based French cuisine, a place to enjoy a course that presents many plates of small servings that are each nicely varied, with a focus on a diversity of meat dishes. 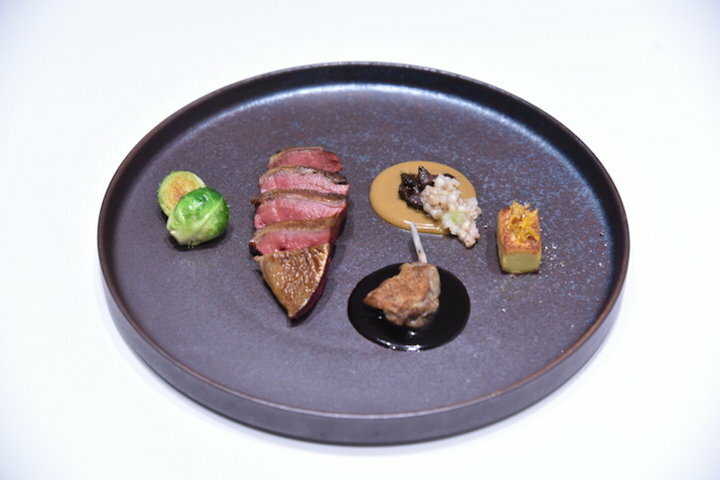 The Chef Hiroyuki Yamashita trained in renowned French restaurants such as "L’ecrin" in Ginza and "Signature" in the Mandarin Oriental Tokyo Hotel before moving on to the US to further his training. After 5 and a half years of hard study under the charismatic chef Eric Ziebold, he returned to Japan to bring his skills together as the chef at T3. Seasonal ingredients including wagyu beef are selected from around the world, with a focus on Japanese produce. Working with these ingredients to feature time and temperature, Chef Yamashita takes the essence of modern America, where he studied and combines this with the techniques that he learned from French cuisine to create a new culinary world served on Japanese tableware that includes precious antique pieces. The wine served to go with the dishes have been carefully selected from around the world by a sommelier based on the concept of Time x Temperature X Terroir. The wine pairing menu that accompanies the various dishes also includes non-alcoholic craft drinks that pay homage to wine, demonstrating the pleasures of a marriage between non-alcoholic beverages and cuisine. 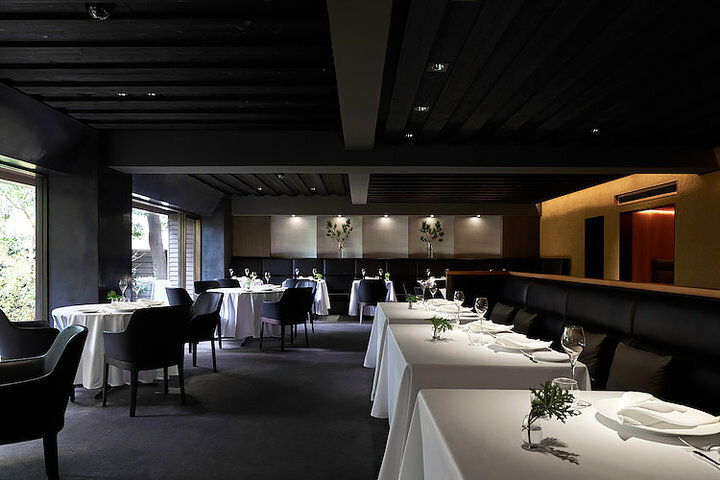 "T3" interior is rectangular shaped, with the main dining area that is a fusion of marble and wood, and an open-kitchen counter positioned in the back of the space. It combines extraordinary richness and warmth. "T3" also features the chef’s table, a special 'box seat' where customers can enjoy conversing with Chef Yamashita while watching him cook right in front of their eyes. This is a spot that you are sure to want to book for a special event such as an anniversary date. 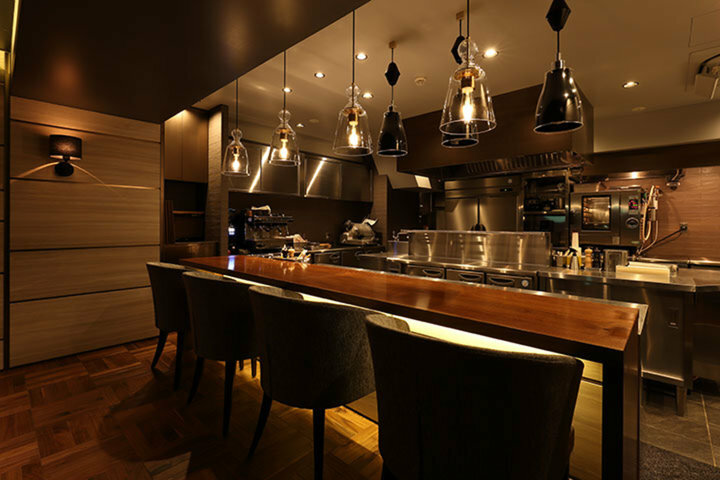 A premium course featuring wagyu beef(8,000yen/person) can be enjoyed casually at the bar–counter near the entrance. The bar–counter is also the place to enjoy drinks without a meal or some after-dinner drinks. Experience a new culinary world that is the product of the radically innovative dishes created by these three “T”s and drinks such as wine and craft drinks that pay homage to wine. ※This is the officially opened version of Secret Restaurant, a restaurant that opened for a limited time only from July to August 2018.